The Republic of Zimbabwe is a landlocked country in Southern Africa. It is located between the Zambezi and Limpopo Rivers. It shares borders with Botswana, Mozambique, South Africa and Zambia. The terrain here mostly comprises high plateaus, gushing rivers and beautiful hills and mountains. 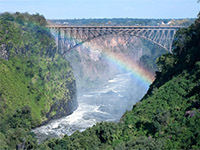 It is also graced by the presence of Victoria Falls, the natural wonder of the world! Most of the country is still not majorly affected by tourism, so if you want to get away from the crowds on an offbeat holiday, this is the place to go. Victoria Falls, Zimbabwe’s most popular attraction is not only famous for its breath-taking beauty, but also for the nearby forests and lakes where you can find diverse flora and fauna.The Hwange National Park is the most famous Park of the country, known for its diverse fauna. 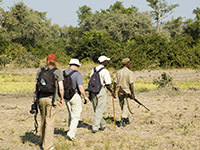 Mana Pools National Park is a world heritage site where you are allowed to go on a walking safari with/without a guide.Although it is a personal responsibility and taking a guide is recommended. 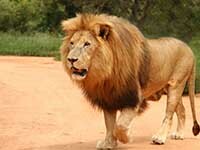 See elephants, hippos, crocodiles, zebras, lions, cheetahs and possibly wild dogs. Situated on the Zambian border Lake Kariba which covers 7,770sqkm is famous for its canoeing safaris. That’s not all if you want to experience an adrenaline rush you can go, White water rafting or Bungee jumping on the Zambezi River. A helicopter flight over the magnificent Victoria Falls can be an experience of a lifetime. The courteous behaviour of the Zimbabwe people will make your holiday an absolute delight.